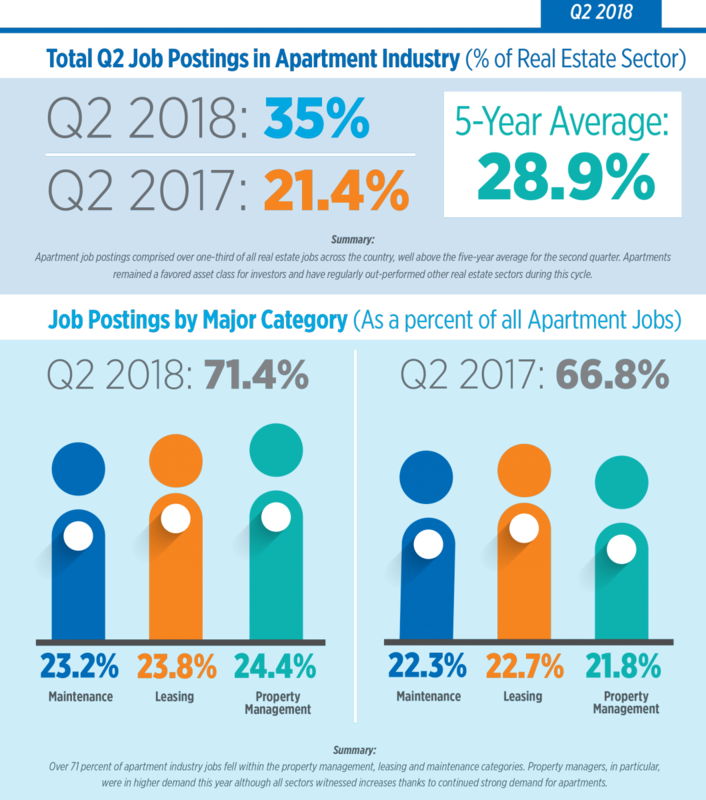 In this edition of NAAEI’s Apartment Jobs Snapshot, we move beyond apartments to analyze competing sectors and find the apartment industry offering better pay for similar skill sets. 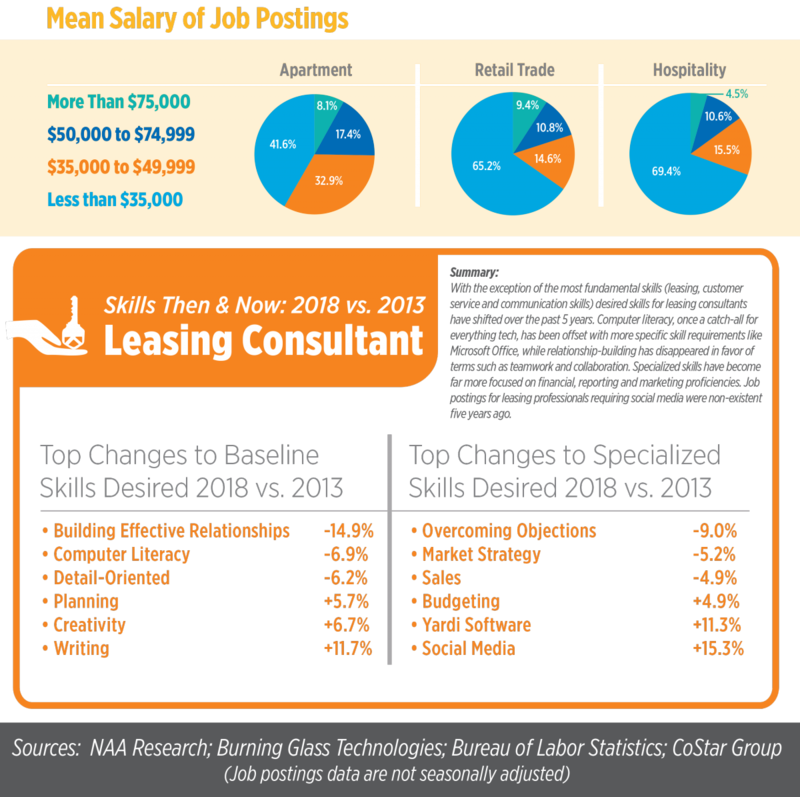 Over the past five years, desired skills for leasing consultants have shifted focus more towards social media, Yardi software and writing. 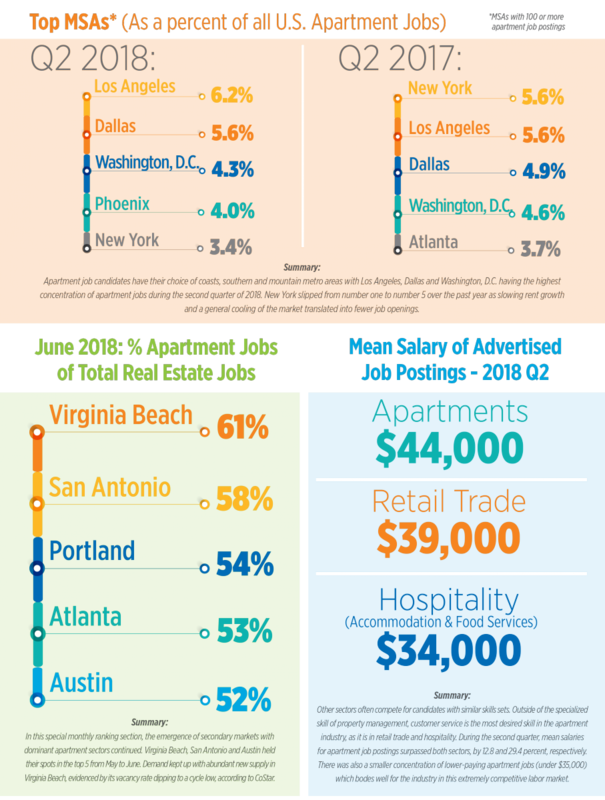 Job candidates for all positions have an abundance of choices in Los Angeles, Dallas and Washington, D.C., among others. Postings for the industry across the country were above the norm for the quarter. Want to learn more about careers in residential property management? Visit RPM Careers.